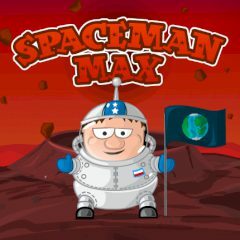 Max had a special mission – to fly to the Mars and explore this planet. But he was not cautious enough and fell into the crater. Help him to get out of this trap. Be careful, there are too many dangers on the way to freedom. No rush. Just take your time and find a perfect solution!